Tired of chasing the Fila Disruptors? 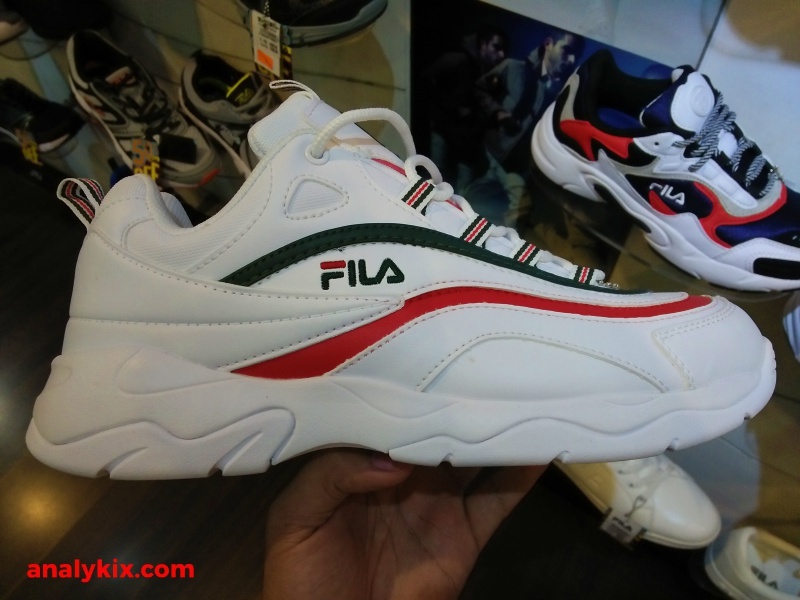 Well, Fila released another lifestyle kicks that shares almost same "bulky" look as the Disruptor. 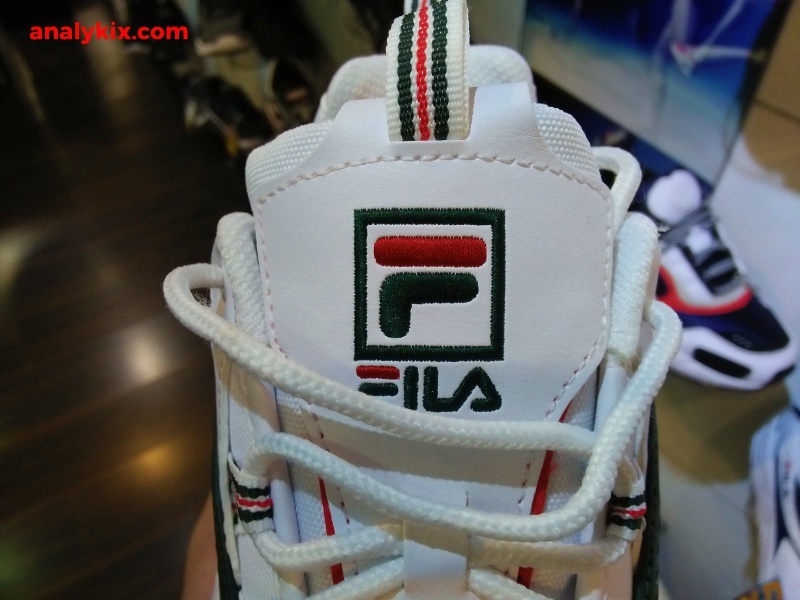 The Fila Ray is also made up of a combination of leather and nylon mesh upper. It surely gives off that 90's vibe which is the trend nowadays in today's retro kicks that shoe brands are exploring to capture every sneakerhead out there. The shoe is built sturdy and functional at the same time so if you are the person who is active on their feet, this might be for you. 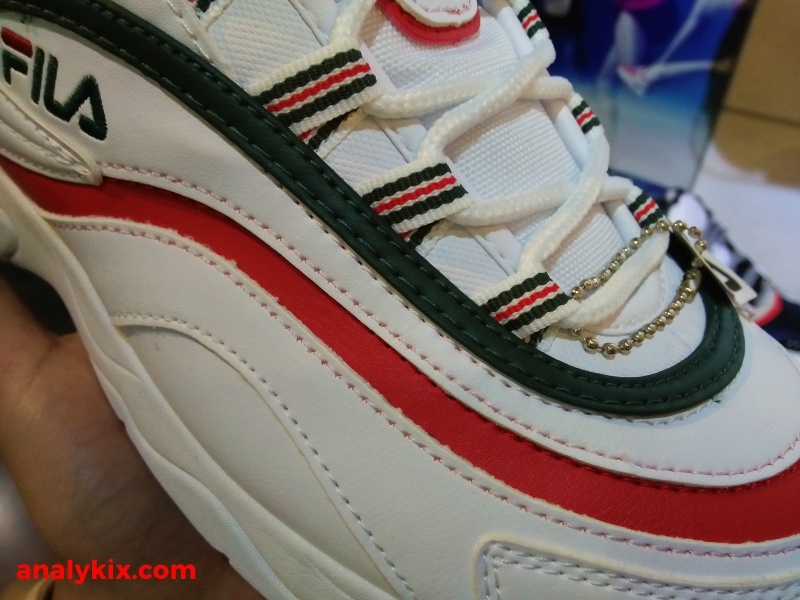 The red and green accents gives the white upper a nice contrast without being too exaggerated but enough to be noticed. While it does look bulky, it isn't heavy on hand so you can wear this for some period of time without feeling foot fatigue. 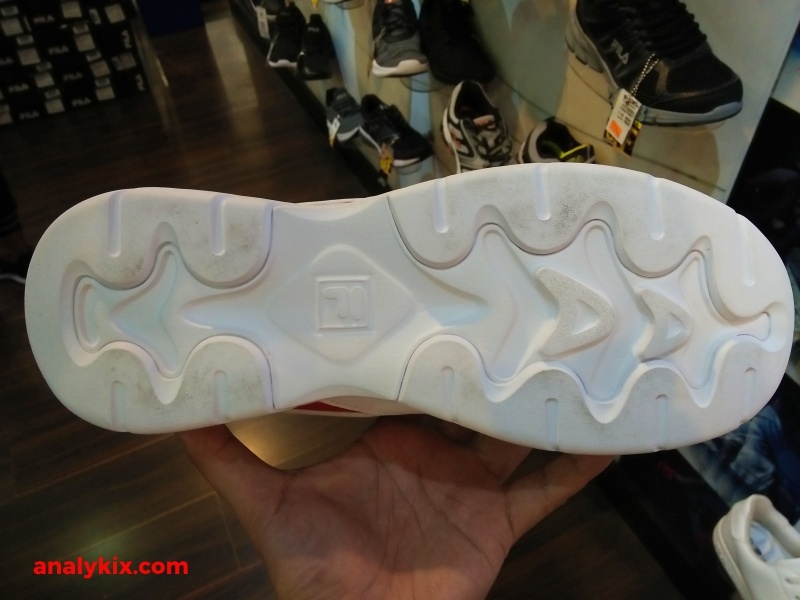 Underneath is a solid rubber outsole with a flat surface. Keep in mind that this is a lifestyle shoe and not a performance model, so you wouldn't want to wear this during your training sessions, as it is meant for casual wear only. 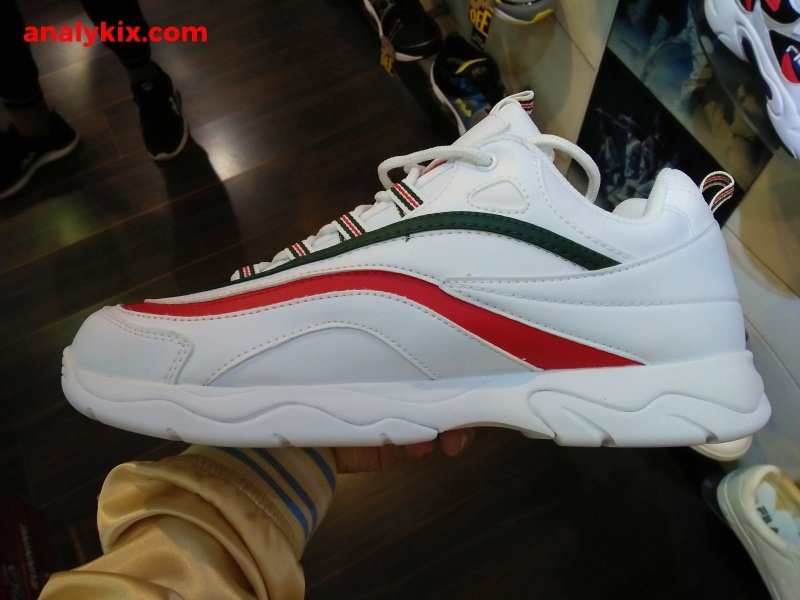 This shoe just dropped recently and while there isn't too much hype built around, we really don't know nowadays where the hype strikes so I suggest you get a pair for yourself now before people starts noticing it as a substitute for the Fila Disruptors. 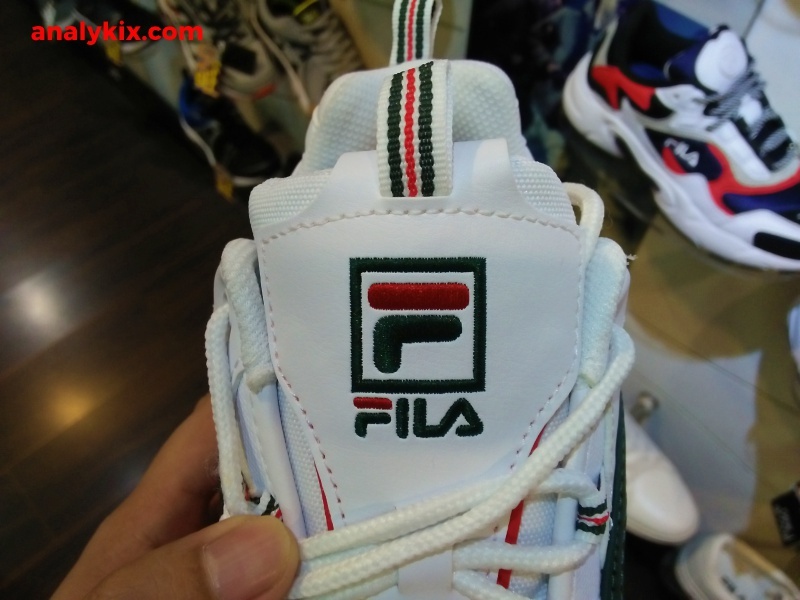 This is available at the Fila store in Glorietta for a retail price of Php 3,499.